A lesson taught at Sultan Bahu trust in Birmingham during the traditional halaqa course. I wish to begin posting on a new feature on Sheikhy notes - the Student files. These are posts designed for the students to think about their studies and to help them gain the maximum benefit from them. On my part this is just advice that maybe some will find useful and others won't. You can agree or disagree and if you like to comment please do. You can access the "Student Files" section under the section called Sheikhy labels on the left hand side of the screen. Mostly I wish to improve myself because this is much room for improvement and I wish to copy Imam Ghazali who said he had wrote Ihya 'ulum Al-Den to improve himself! Looks like I will have a lot of work to do. There was one a blind wali who used to pray in a cave. Some people wanted to scare him and one said I’ll pretend I’m dead and he’ll pray over me and then I’ll scream in his face. They went to him to ask him to prayer over their dead friend, the wali asked if they had washed him. They went back to their friend and found him dead, they washed him and the wali prayed over him. In society we have groups, classification. It was noted in the opening of Africa to the Muslims they came across a valley, it was known as the valley of death. They leader was advised to go around it, he refused and went to the valley with some men and said, “O’ inhabitants of the valley, tomorrow I will cross this valley with my men and if I see anything I will kill it.” Snakes could be seen leaving their holes to make way for them. Can people still attain this rank? Are those who know and those who don’t, equal? Ibn Hajar said the one who is busy with the fard so he cant do the sunna, he has an excuse and the one doing the Sunna and leaving the fard is fooled. Click on the link for a "Series of Lessons for the West" (Year 2005)by the Sheikh. One of the great sufi imams who was also known as a muhaddith, preacher, and Maliki jurist, Abu al-Fadl Ibn `Ata Allah al-Iskandari (d. 709) is the author of al-Hikam (Aphorisms), Miftah al-falah (The key to success), al-Qasd al-mujarrad fi ma`rifat al-ism al-mufrad (The pure goal concerning knowledge of the Unique Name), Taj al-`arus al-hawi li tadhhib al-nufus (The bride's crown containing the discipline of souls), `Unwan al-tawfiq fi adab al-tariq (The sign of success concerning the discipline of the path), the biographical al-Lata'if fi manaqib Abi al-`Abbas al-Mursi wa shaykhihi Abi al-Hasan (The subtle blessings in the saintly lives of Abu al-`Abbas al-Mursi and his master Abu al-Hasan al-Shadhili), and others. He was Abu al-`Abbas al-Mursi's (d. 686) student and the second successor of the Sufi founder, Imam Abu al-Hasan al-Shadhili. Ibn `Ata' Allah was one of those who confronted Ibn Taymiyya for his excesses in attacking those of the Sufis with whom he disagreed. He never refers to Ibn Taymiyya by name in his works, but it is clearly of him that he speaks when he says, in his Lata'if, that Allah has put the Sufis to the test through what he terms "the scholars of external learning. "1 In the pages below are the first English translation of a historical account which took place between the two. From Usul al-Wusulby Muhammad Zaki Ibrahim Ibn Kathir, Ibn al-Athir, and other authors of biographical dictionaries and biographies have transmitted to us this authentic historical debate.2 It gives an idea of the ethics of debate among the people of learning. It documents the controversy between a pivotal personality in tasawwuf, Shaykh Ahmad Ibn Ata' Allah al-Iskandari, and an equally important person of the so-called "Salafi" movement, Shaykh Ahmad Ibn `Abd al-Halim Ibn Taymiyya during the Mamluke era in Egypt under the reign of the Sultan Muhammad Ibn Qalawun (al-Malik al-Nasir). Shaykh Ibn Taymiyya had been imprisoned in Alexandria. When the Sultan pardoned him, he came back to Cairo. At the time of the evening prayer he went to al-Azhar mosque where salat al-maghrib was being led by Shaykh Ahmad Ibn `Ata Allah al-Iskandari. Following the prayer, Ibn `Ata' Allah was surprised to discover that Ibn Taymiyya had been praying behind him. Greeting him with a smile, the Sufi shaykh cordially welcomed Ibn Taymiyya's arrival to Cairo, saying: "as-Salamu alaykum". Then Ibn `Ata' Allah started to talk with the learned visitor. Ibn `Ata' Allah: "Ordinarily, I pray the evening prayer in the Mosque of Imam Husayn and the night prayer here. But look how the Divine plan works itself out! Allah has ordained that I should be the first one to greet you (after your return to Cairo). Tell me, O faqih, do you blame me for what happened? Ibn Taymiyya: "I know you intended me no harm, but our differences of opinion still stand. In any case, whoever has harmed me in any way, from this day on I hereby exonerate and free him from any blame in the matter." Ibn `Ata' Allah: "What is it you know about me, Shaykh Ibn Taymiyya?" Ibn Taymiyya: "I know you to be a man of scrupulous piety, abundant learning, integrity and truthfulness in speech. I bear witness that I have seen no one like you either in Egypt or Syria who loves Allah more nor who is more self-effacing in Him nor who is more obedient in carrying out what He has commanded and in refraining from what He has forbidden. Nevertheless, we have our differences. What do you know about me? Are you claiming that I am misguided when I deny the validity of calling on anyone save Allah for aid (istighatha)?" Ibn `Ata' Allah: "Surely, my dear colleague, you know that istighatha or calling for help is the same as tawassul or seeking a means and asking for intercession (shafa`a); and that the Messenger, on him be peace, is the one whose help is sought since he is our means and he the one whose intercession we seek." Ibn `Ata' Allah: May Allah cause you to prosper, O faqih! As for the advice which the Prophet -- on him be peace -- gave to his cousin Ibn Abbas, he wanted him to draw near to Allah not through his familial relationship to the Prophet but through his knowledge. With regard to your understanding of istighatha as being seeking the aid of someone other than Allah which is idolatry, I ask you: Is there any Muslim possessed of real faith and believing in Allah and His Prophet who thinks there is someone other than Allah who has autonomous power over events and who is able to carry out what He has willed with regard to them? Is there any true believer who believes that there is someone who can reward him for his good deeds and punish him for his bad ones other than Allah? Besides this, we must consider that there are expressions which should not be taken just in their literal sense. This is not because of fear of associating a partner with Allah and in order to block the means to idolatry. For whoever seeks help from the Prophet only seeks his power of intercession with Allah as when you yourself say: "This food satisfies my appetite." Does the food itself satisfy your appetite? Or is it the case that it is Allah who satisfies your appetite through the food? As for your statement that Allah has forbidden Muslims to call upon anyone other than Himself in seeking help, have you actually seen any Muslim calling on someone other than Allah? The verse you cite from the Qur'an was revealed concerning the idolaters and those who used to call on their false gods and ignore Allah. Whereas, the only way Muslims seek the help of the Prophet is in the sense of tawassul or seeking a means, by virtue of the privilege he has received from Allah (bi haqqihi `inda Allah), and tashaffu` or seeking intercession, by virtue of the power of intercession which Allah has bestowed on him. As for your pronouncement that istighatha or seeking help is forbidden in the Shari`a because it can lead to idolatry, if this is the case, then we ought also to prohibit grapes because they are means to making wine, and to castrate unmarried men because not to do so leaves in the world a means to commit fornication and adultery." At the latter comment both the shaykhs laughed. Ibn `Ata Allah continued: "I am acquainted with the all-inclusiveness and foresight of the legal school founded by your Shaykh, Imam Ahmad, and know the comprehensiveness of your own legal theory and about its principle of blocking the means to evil (sadd al-dhara'i`) as well as the sense of moral obligation a man of your proficiency in Islamic jurisprudence and integrity must feel. But I realize also that your knowledge of language demands that you search out the hidden meanings of words which are often shrouded behind their obvious senses. As for the Sufis, meaning for them is like a spirit, and the words themselves are like its body. You must penetrate deeply into what is behind the verbal body in order to seize the deeper reality of the word's spirit. Now you have found a basis in your ruling against Ibn `Arabi in the Fusus al-hikam, the text of which has been tampered with by his opponents not only with things he did not say, but with statements he could not even have intended saying (given the character of his Islam). When Shaykh al-Islam al-`Izz ibn `Abd al-Salam understood what Shaykh Ibn `Arabi had actually said and analyzed, grasped and comprehended the real meaning of his symbolic utterances, he asked Allah's pardon for his former opinion about the Shaykh and acknowledged that Muhyiddin ibn `Arabi was an Imam of Islam.6 As for the statement of al-Shadhili against Ibn Arabi, you should know that Abu al-Hasan al-Shadhili is not the person who said it but one of the students of the Shadhiliyya. Furthermore, in making this statement that student was talking about some of the followers of Shadhili. Thus, his words were taken in a fashion he himself never intended. "What do you think about the Commander of the Faithful, Sayyidina `Ali ibn Abi Talib, may Allah be pleased with him?" Ibn Taymiyya: In the hadith the Prophet, on him be peace, said: "I am the city of knowledge and `Ali is its door. "7 Sayyidina `Ali is the one mujahid who never went out to battle except to return victoriously. What scholar or jurist who came after him struggled for the sake of Allah using tongue, pen and sword at the same time? He was a most accomplished Companion of the Prophet -- may Allah honor his countenance. His words are a radiant lamp which have illumined me during the entire course of my life after the Qur'an and Sunna. Ah! one who is ever short of provision and long in his journeying. Ibn `Ata' Allah: Now, did Imam `Ali ask anyone to take his side in a faction? For this faction has claimed that the Angel Gabriel made a mistake and delivered the revelation to Muhammad -- on him be peace instead of `Ali! Or did he ask them to claim that Allah had become incarnate in his body and the Imam had become divine? Or did he not fight and slay them and give a fatwa (legal opinion) that they should be killed wherever they were found? Ibn Taymiyya: "On the basis of this very fatwa, I went out to fight them in the mountains of Syria for more than ten years. Ibn `Ata' Allah: And Imam Ahmad -- may Allah be pleased with him -- questioned the actions of some of his followers who were in the habit of going on patrols, breaking open casks of wine (in the shops of their Christian vendors or wherever they find them), spilling their contents on the floor, beating up singing girls, and confronting people in the street. All of this they did in the name of enjoining good and prohibiting what is forbidden. However, the Imam had not given any fatwa that they should censure or rebuke all those people. Consequently, these followers of his were flogged, thrown into jail, and paraded mounted on assback facing the tail. Now, is Imam Ahmad himself responsible for the bad behavior which the worst and most vicious Hanbalis continue to perpetrate right down to our own day, in the name of enjoining good and prohibiting what is forbidden? All this is to say that Shaykh Muhyiddin Ibn `Arabi is innocent with respect to what those of his followers do who absolve people of legal and moral obligations set down by the religion and from committing deeds that are prohibited. Do you not see this? Ibn Taymiyya: "But where do they stand with respect to Allah? Among you Sufis are those who assert that when the Prophet -- on him be peace -- gave glad tidings to the poor and said that they would enter paradise before the rich, the poor fell into ecstasy and began to tear their garments into pieces; that at that moment the Angel Gabriel descended from heaven and said to the Prophet that Allah had sought his rightful portion from among these torn garments; and that the Angel Jibril carried one of them and hung it on Allah's throne. For this reason, they claim, Sufis wear patchworked garments and call themselves fuqara' or the "poor"! Ibn `Ata' Allah: "Not all Sufis wear patchworked vests and clothing. Here I am before you: what do you disapprove of in my appearance?" Ibn Taymiyya: "You are from the men of Shari`a and teach in al-Azhar." Ibn `Ata' Allah: "al-Ghazali was equally an Imam both in Shari`a and tasawwuf. He treated legal rulings, the Sunna, and the Shari'a with the spirit of the Sufi. And by applying this method he was able to revive the religious sciences. We know that tasawwuf recognizes that what is sullied has no part in religion and that cleanliness has the character of faith. The true and sincere sufi must cultivate in his heart the faith recognized by the Ahl al-Sunna. Two centuries ago the very phenomena of pseudo-Sufis appeared which you yourself criticize and reject. There were persons who sought to diminish the performance of worship and religious obligations, lighten fasting and belittle the five daily prayers. They ran wild into the vast arenas of sloth and heedlessness, claiming that they had been liberated from the shackles of the slavery of divine worship. Not satisfied with their own vile deeds until they have claimed intimations of the most extravagant realities and mystical states just as Imam al-Qushayri himself described in his well-known Risala, which he directed against them. He also set down in detail what constituted the true path to Allah, which consists in taking a firm hold upon the Qur'an and the Sunna. The Imams of tasawwuf desire to arrive at the true reality not only by means of rational evidences thought up by the human mind which are capable of being false as well as true, but by means of purifying the heart and purging the ego through a course of spiritual exercises. They cast aside concerns for the life of this world inasmuch as the true servant of Allah does not busy himself with anything else except love of Allah and His Prophet. This is a high order of business and one which makes a servant pious and healthy and prosperous. It is an occupation that reforms those things that corrupt the human creature, such as love of money and ambition for personal standing in society. However, it is an order of business which is constituted by nothing less than spiritual warfare for the sake of Allah. My learned friend, interpreting texts according to their literal meanings can sometimes land a person in error. Literalism is what has caused your judgments about Ibn `Arabi who is one of the Imams of our faith known for his scrupulous piety. You have understood what he wrote in a superficial fashion; whereas sufis are masters of literary figures which intimate much deeper meanings, hyperbolic language that indicates heightened spiritual awareness and words which convey secrets concerning the realm of the unseen." Ibn Taymiyya: "This argument is against you, not in your favor. For when Imam al-Qushayri saw his followers deviating from the path to Allah he took steps to improve them. What do the sufi shaykhs in our day do? I only ask that Sufis follow the path of the Sunna of these great and pious ancestors of our faith (Salaf): the ascetics (zuhhad) among the Companions, the generation which succeeded them, and the generation that followed in their footsteps to their best! Whoever acts in this way I esteem him highly and consider him to be an Imam of the religion. As for unwarranted innovation and the insertion of the ideas of idolaters such as the Greek philosophers and the Indian Buddhists, or like the idea that man can incarnate Allah (hulul) or attain unity with Him (ittihad), or the theory that all existence is one in being (wahdat al-wujud) and other such things to which your Shaykh summons people: this is clearly godlessness and unbelief." Ibn `Ata' Allah: "Ibn `Arabi was one of the greatest of the jurists who followed the school of Dawud al-Zahiri after Ibn Hazm al-Andalusi, who is close to your methodology in Islamic law, O Hanbalis! But although Ibn `Arabi was a Zahiri (i.e. a literalist in matters of Islamic law), the method he applied to understand ultimate reality (al-haqiqa) was to search out the hidden, spiritual meaning (tariq al-batin), that is, to purify the inward self (tathir al-batin).8 However, not all followers of the hidden are alike. In order that you not err or forget, repeat your reading of Ibn `Arabi with fresh understanding of his symbols and inspirations. You will find him to be very much like al-Qushayri. He has taken his path in tasawwuf under the umbrella of the Qur'an and Sunna just like the Proof of Islam, Shaykh al-Ghazali, who carried on debates about doctrinal differences in matters of creed and issues of worship but considered them occupations lacking in real value and benefit. He invited people to see that the love of Allah is the way of a proper servant of Allah with respect to faith. Do you have anything to object to in this, O faqih? Or do you love the disputations of Islamic jurists? Imam Malik, may Allah be pleased with him, exercised extreme caution about such wrangling in matters of creed and used to say: "Whenever a man enters into arguing about issues of creed it diminishes his faith." Similarly al-Ghazali said: The quickest means of drawing near to Allah is through the heart, not the body. I do not mean by heart this fleshy thing palpable to seeing, hearing, sight and touch. Rather, I have in mind the inner most secret of Allah himself the Exalted and Great which is imperceptible to sight or touch. Indeed, the Ahl al-Sunna are the very ones who named the Sufi shaykh al-Ghazali: "the Proof of Islam,"9 and there is no-one to gainsay his opinions even if one of the scholars has been excessive in praising his book when he said: "The Ihya' `ulum al-din was almost a Qur'an. "10 The carrying out of religious obligation (taklif) in the view of Ibn `Arabi and Ibn al-Farid is a worship whose mihrab, or prayer-niche indicating the orientation of prayer, is its inward aspect, not merely its external ritual. For what is the good of you standing and sitting in prayer if your heart is preoccupied with something other than Allah. Allah praises people when He says in the Qur'an: "Those who are humble in their prayer" (23:2) and He blames peoples when He says: "Those who are heedless in their prayer" (107:5). This is what Ibn `Arabi means when he says: "Worship is the mihrab of the heart, that is, the inward aspect of prayer not the outward." The Muslim is unable to arrive at the knowledge of certitude (`ilm al-yaqin) nor at certitude itself (`ayn al-yaqin) of which the Qur'an speaks unless he evacuates his heart from whatever distracts it in the way of wordly cravings and center himself on inward contemplation. Then the outpourings of Divine reality will fill his heart, and from there will spring his sustenance. The real sufi is not the one who derives his sustenance from asking and begging people for alms. The only one who is sincere is he who rouses his heart and spirit to self-obliteration in Allah by obedience to Allah. Perhaps Ibn `Arabi caused the jurists to rise up against him because of his contempt of their preoccupation with arguing and wrangling about credal matters, actual legal cases, and hypothetical legal situations, since he saw how much it distracted them from purifying the heart. He named them "the jurists of women's menses." May Allah grant you refuge from being among them! Have you read Ibn `Arabi's statement that: "Whoever builds his faith exclusively on demonstrative proofs and deductive arguments, builds a faith on which it is impossible to rely. For he is affected by the negativities of constant objections. Certainty (al-yaqin) does not derive from the evidences of the mind but pours out from the depths of the heart." Have you ever read talk as pure and sweet as this?" 1. Ibn `Ata Allah, Lata'if al-minan fi manaqib Abi al-`Abbas on the margins of Sha`rani's Lata'if al-minan wa al-akhlaq (Cairo, 1357) 2:17-18. 2. See Ibn al-`Imad, Shadharat al-dhahab (1350/1931) 6:20f. ; al- Zirikly, al-A`lam (1405/1984) 1:221; Ibn Hajar, al-Durar al-kamina (1348/1929) 1:148-273; Al-Maqrizi, Kitab al-suluk (1934-1958) 2:40-94; Ibn Kathir, al-Bidaya wa al-nihaya (1351/1932) 14:45; Subki, Tabaqat al-shafi`iyya (1324/1906) 5:177f. and 9:23f. ; Suyuti, Husn al-muhadara fi akhbar misr wa al-qahira (1299/) 1:301; al-Dawadari, al-Durr al-fakhir fi sirat al-malik al-Nasir (1960) p. 200f. ; al-Yafi`i, Mir'at al-janan (1337/1918) 4:246; Sha`rani, al-Tabaqat al-kubra (1355/1936) 2:19f. ; al-Nabahani, Jami` karamat al-awliya' (1381/1962) 2:25f. 3. 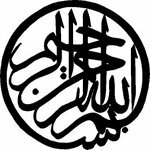 Bukhari and Muslim, hadith of Jabir: "I have been given five things which no prophet was given before me..."
4. al-Tabarani relates it in al-Kabir. Ibn Hibban and al-Hakim declare it sound. Ibn Abi Shayba on the authority of Jabir relates a similar narrative. Similar also is what Ibn `Abd Al-Barr on the authority of Ibn `Abbas and Abu Nu`aym in his Hilya on the authority of Anas Ibn Malik relate, as al-Hafiz al-Suyuti mentioned in the Jami` al-Kabir. Haythami says in Majma` al-zawa'id: "Tabarani's chain contains Rawh ibn Salah who has some weakness but Ibn Hibban and al-Hakim declared him trustworthy. The rest of its sub-narrators are the men of sound hadith." This Fatima is `Ali's mother, who raised the Prophet. 5. Hadith: "O young man... if you have need to ask, ask of Allah. If you must seek help, seek help from Allah..." (ya ghulam ala u`allimuka...): Tirmidhi (#2516 hasan sahih); Bayhaqi in Asma' wa al-sifat p. 75-76 and Shu`ab al-iman 2:27-28 (#1074-1075) and 7:203 (#10000); Ahmad 1:307; Tabarani; Ibn Hibban; Abu Dawud; al-Hakim; Nawawi included it in his 40 Hadiths (#19) but Ibn al-Jawzi placed it among the forgeries. 6. See al-`Izz ibn `Abd al-Salam al-Maqdisi's Zabad khulasat al-tasawwuf (The quintessence of self-purification) (Tanta: al-matba`a al-yusufiyya). Published under the title Hall al-rumuz wa-mafatih al-kunuz (The explanation of symbols and the keys to treasures) (Cairo: al-maktab al-fanni li al-nashr, 1961). Note that this is a different author than Shaykh al-Islam al-`Izz ibn `Abd al-Salam al-Sulami. 7. From the Reliance of the Traveller p. 954-957: "(`Ali Qari:) The Hadith "I am the city of knowledge and `Ali is its gate" was mentioned by Tirmidhi... [who] said it was unacknowledgeable. Bukhari also said this, and said that it was without legitimate claim to authenticity. Ibn Ma`in said that it was a baseless lie, as did Abu Hatim and Yahya ibn Sa`id. Ibn Jawzi recorded it in his book of Hadith forgeries, and was confirmed by Dhahabi, and others in this. Ibn Daqiq al-`Eid said, "This Hadith is not confirmed by scholars, and is held by some to be spurious." Daraqutni stated that it was uncorroborated. Ibn Hajar `Asqalani was asked about it and answered that it was well authenticated (hasan), not rigorously authenticated (sahih), as Hakim had said, but not a forgery (mawdu`), as Ibn Jawzi had said. This was mentioned by Suyuti. The Hadith master (hafiz) Abu Sa`id `Ala'i said, "The truth is that the Hadith is well authenticated (hasan), in view of its multiple means of transmission, being neither rigorously authenticated (sahih) nor weak (da`if), much less a forgery" (Risala al-mawdu`at, 26)." 8. This is a key equivalence in Ibn `Ata Allah's Hikam, for example #205: "Sometimes lights come upon you and find the heart stuffed with forms of created things, so they go back from whence they descended." Ibn `Ata' Allah, Sufi Aphorisms (Kitab al-hikam), trans. Victor Danner (Leiden: E.J. Brill, 1984) p. 53. 9. As illustrated by Salah al-Din al-Safadi for Ghazali's entry in his biographical dictionary: "Muhammad ibn Muhammad ibn Muhammad ibn Ahmad, the Proof of Islam, the Ornament of the Faith, Abu Hamid al-Tusi..." al-Safadi, al-Wafi bi al-wafayat 1:274. 10. Ironically, a similar kind of praise on Ibn `Ata' Allah's own book al-Hikam is related on the authority of the great shaykh Mawlay al-`Arabi al-Darqawi by Ibn `Ajiba in Iqaz al-himam (p. 3-4): "I heard the jurist al-Bannani say: "The Hikam of Ibn `Ata' is almost a revelation (wahy). Were it permitted to recite the daily prayer without the Qur'an, the words of the Hikam would be allowed." He meant by this that there is nothing in the Hikam except what proceeds from the Qur'an and points back to it again, and Allah knows best. 11. In Muhammad Zaki Ibrahim, Usul al-wusul (Cairo: 1404/ 1984) 299-310.